In the previous episode of NBC’s Brooklyn Nine-Nine, we witnessed a flashback to Hitchcock and Scully’s peak in the 80s. 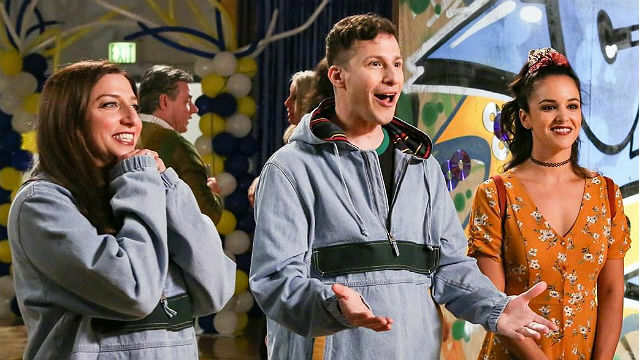 Brooklyn Nine-Nine season 6 episode 3 was another blast from the past, this time for Jake and Gina. Jake and Gina attended their ’90s-themed reunion with Amy. They dressed in matching outfits as the DDC, the Dope Denim Crew. Unfortunately, Jake was known as “the Tattler” for all of senior year. He was becoming friends with cool guy Brandon Bliss, and they plotted to steal a van. However, someone tattled on Brandon, and the entire class wrongfully blamed Jake. At the reunion, Jake’s old classmates continued to call him “the Tattler” until he finally snapped. Amy helped him break into the administrative office to find out which football player had a class with Brandon when he found out. They determined it was Danny Matthews, but when they confronted him, he insisted he saw Jake talking to the principal. There was only one person who would’ve dressed like him: Gina. Gina’s mission throughout the entire reunion was to lie to all of her old classmates about what she did. These lies included working on Thor 4: More Thor and designing the Freedom Tower. But when she pitched a “Tinder for toddlers” app to Quentin, a tech mogul, he was interested in buying her fake company. While Amy happily fixed a student’s science project, Jake called Gina out for being a liar. Gina explained that she tattled because she worried about what hanging out with Brandon would’ve done to Jake. Brandon was currently on parole, and she believed Jake would’ve never become a detective. Jake tried to convince Quentin to still invest in Gina because her talents were wasted at the Nine-Nine. Unfortunately, he wasn’t actually a tech mogul; Quentin lied too. Still, Gina decided to leave the Nine-Nine because she liked the idea of owning her own company. Back at the Nine-Nine, Terry, Hitchcock, and Scully were listening to the radio for a contest. The station would play a sound and callers had to identify what made it for a prize. Captain Holt insisted it was a waste of time. However, they believed the sound was yogurt being opened. Despite getting the answer wrong, Holt admitted that he had fun even though it hadn’t been productive. Rosa came to Charles to help her choose between the two people she was dating, code-named Quinoa and Couscous. Boyles were very indecisive people, but Charles insisted it was an advantage. When Rosa refused to go through the 309 questions in his manual, he suggested she hang upside down, so blood could flow to the decision-making area of the brain. They wasted enough time that Quinoa had decided to end it on their own, leaving Rosa with Couscous. Boyle revealed that was the secret to the process–letting the universe work itself out. What did you think about Brooklyn Nine-Nine season 6 episode 3? Let us know in the comment section below! 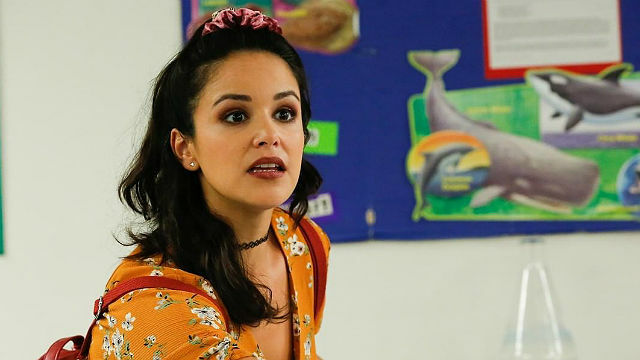 The post Brooklyn Nine-Nine Season 6 Episode 3 Recap appeared first on ComingSoon.net.